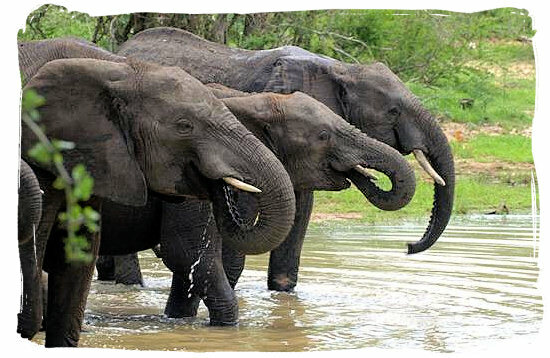 The Letaba main rest camp (Letaba meaning "River of Sand"), a green and lush oasis amidst Mopane bushveld, is a top location for game viewing, particularly elephant, which thrive in the area. This idyllic rest camp with its relaxed atmosphere lies on a sweeping bend of the Letaba river, midwaybetween the southern and northern boundaries of the Kruger National Park, only 50km away from the Phalaborwa gate. 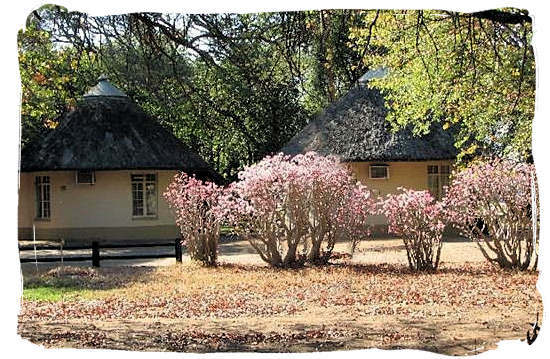 With beautiful lawns, indigenous shrubs and tall shady trees such as the Sycamore fig,Natal Mahogany, Sausage tree and Apple Leaf, Letaba is a favourite with visitors. 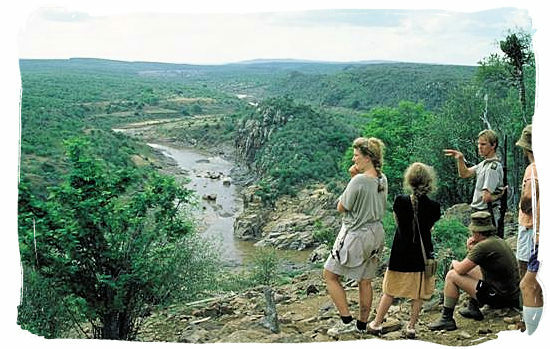 Game viewing in the region, with most of the Kruger National Park’s larger animals and predators present, is excellent. 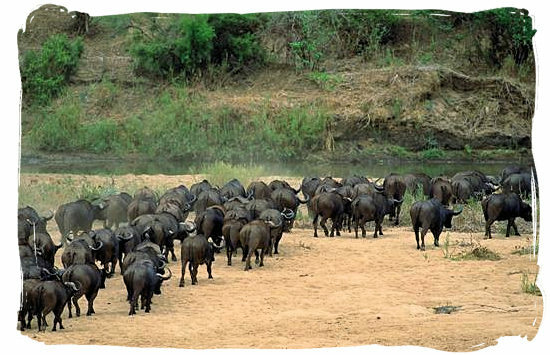 Antelope, Buffalo and in particular Elephants are regularly to be seen in the Letaba riverbed itself. In the camp at night, before you slumber away into sleep, you can listen to a symphony of sounds. Owls, nightjars, frogs, fruit bats, crickets and cicadas, all contesting to be heard, until the lion roars, then all are silent. Visitors need not even leave the camp to view these animals and some lucky guests have been fortunate enough to witness lion and cheetah kills on the sandy riverbed in front of the look-out area at the restaurant complex. Letaba camp itself hosts a healthy population of bushbuck that have become very tame and wander freely amongst the bungalows. Other camp residents include tree squirrels, fruit bats and vervet monkeys which must always be considered before leaving food unattended. With a rich bird population, Letaba rest camp and surroundings offers magnificent bird watching opportunities all year round. The camp is particularly known for viewing owls, of which the Pearl-spotted Owl, the African Barred Owlet and the African Scops Owl are all resident in the camp and you should be able to hear them when nightfall comes. The rest camp's Red-headed Weavers are unusually bold, they nest near the petrol station and in front of the restaurant. There is a wide range of services at Letaba, including the usual shop, restaurant, cafeteria, petrol station and communal ablution, cooking and laundry facilities, but notably also an ATM, an information centre and an emergency vehicle repair facility. 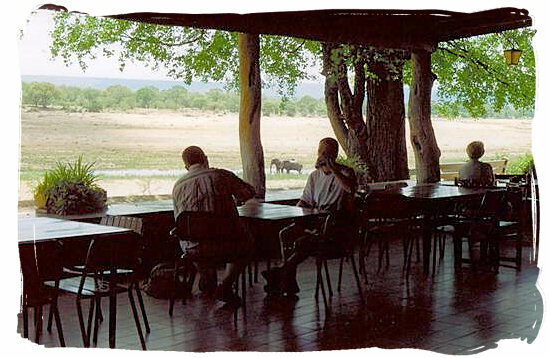 Letaba restaurant offers you an relaxing atmosphere with waiters serving you at your table. And if you feel like a real South African “braai” (barbecue), there is a boma just next to the restaurant. Letaba rest camp has been upgraded in recent years and is well looked after. From luxury and self-catering to camping, caravanning and safari tent accommodation, Letaba caters to a variety of guest requirements and needs, to make your stay in the wilderness a pleasurable experience. 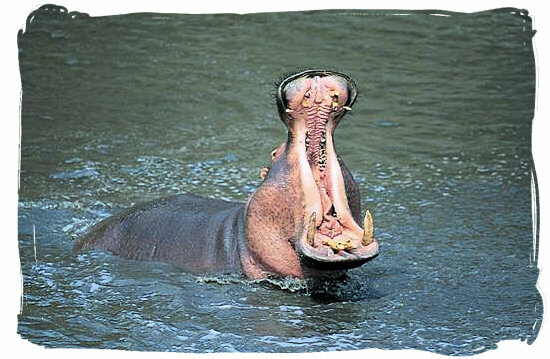 The comfortable air-conditioned accommodation units at Letaba are spaciously spread out in semi-circles facing wooded lawns and the river beyond. All units are serviced daily and supplied with bedding, towels and soap. 60 x tent or caravan sites, with power point. Communal ablutions and cooking facilities. (24 hour boiling water, electric hotplates and washing up facilities) Maximum of 6 persons per site. 5 x rustic 3-bed units with communal ablution facilities. There are no cooking utensils, crockery or cutlery, but a communal kitchen (located at the old picnic spot) with sink and electric stoves is available. Also equipped with fridge, fan and air conditioner. You have a choice of perimeter or river view units. Please confirm when booking. 10 x 2-bed and 10 x 4-bed permanently furnished, budget type canvas tents on stilts, including a fridge, standing fan inside tent and small veranda. Communal ablutions and communal kitchens are available. 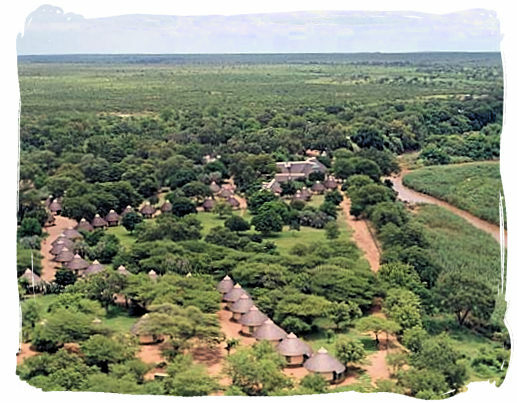 86 x round-walled and single-room, African style units with thatched roofs, 2 or 3 beds per unit, equipped with en-suite ablutions (most with showers, but some with baths). All units have air-conditioning, some have fans. Kitchenettes vary, some have hotplates and sinks, some have only sinks, while some have neither. Cutlery and crockery can be provided and hired from reception. You have a choice between perimeter or river view units. Please confirm when booking. 10 x 6-bed units (2 single beds in each bedroom), equipped with two bathrooms (one en-suite), air-conditioning (only in the bedrooms), lounge/dining area (with ceiling fan), large veranda and outside braai (barbecue). The open plan kitchen has a four plate gas stove with oven, fridge/freezer combination, sink, cooking utensils, crockery and cutlery and 6-seater dining room/lounge. These are large luxury units in prime positions inside the camp, with riverside view. There are well-equipped kitchens (with microwave ovens) and multiple bedrooms and bathrooms. Limited channel DSTV televisions are provided. There are two Guest houses at Letaba. Melville guest house: Sleeps 9, with 3 bedrooms (2 single beds in each room) and an additional single bed on the enclosed veranda. Fish Eagle guest house: Sleeps 8, with 4 bedrooms (2 single beds in each room) and has an exclusive bird hide. 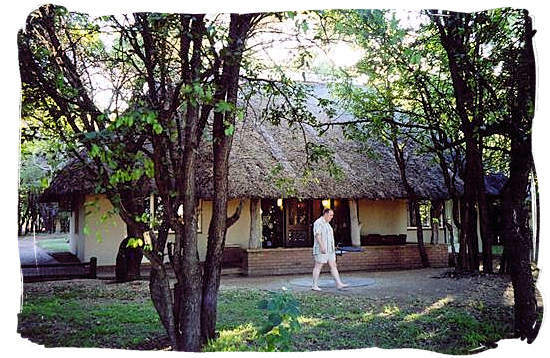 Letaba rest camp is popular with visitors for the variety of activities it offers, from guided morning, sunset and night game drives and morning and afternoon game walks, to bush “braais” (barbecues) and bush breakfasts, a 2 day hike along the Olifants river, or a visit to the reconstructed iron age village at Masorini. 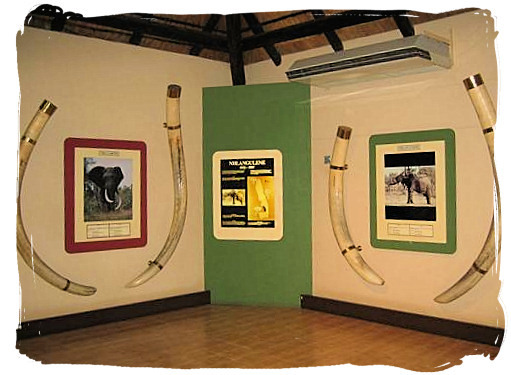 A visit to Letaba camp’s Elephant Hall is not to be missed. 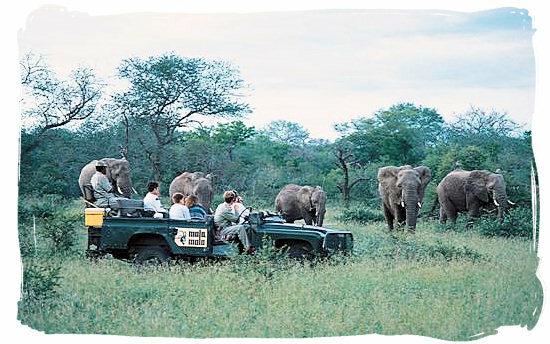 It houses the enormous tusks of the seven greatest elephants the Kruger National Park has seen, known as the magnificent seven. These activities will ensure an exciting bush experience. All bookings, as well as further details are available from the reception desk at the camp. 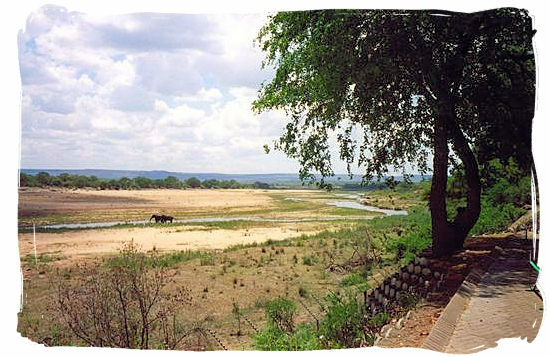 Kruger National Park lies in a summer rainfall area with occasional bursts of quick summer storms (which can be quite heavy) occurring later in the day, cooling the air and settling the dust. The summer months (October to April) are hot and often quite humid. Winters are warm and mild with cool evenings. Visitors going on night drives during the winter period will require warm clothing. The closest airport to Letaba is Gateway Airport situated in Phalaborwa, approximately 3 km from the Phalaborwa entrance gate into the Kruger National Park. There are daily scheduled flights between Gateway and OR Tambo International Airport in Johannesburg. Letaba Rest Camp is 51km away from the gate. Allow about 2 hours for the drive to the camp. Take the N1 toll-road to Polokwane (Pietersburg). 40km before Polokwane turn right onto the R71 and head for Tzaneen. After Tzaneen continue with the R71, heading towards Phalaborwa and the gate. Travelling from Johannesburg or Pretoria,allow between 6 to 7 hours for the trip to the gate. Letaba Rest Camp is 51km away from the gate. Allow about 2 hours for the drive to the camp, however if you want to enjoy the game viewing possibilities give yourself more time. 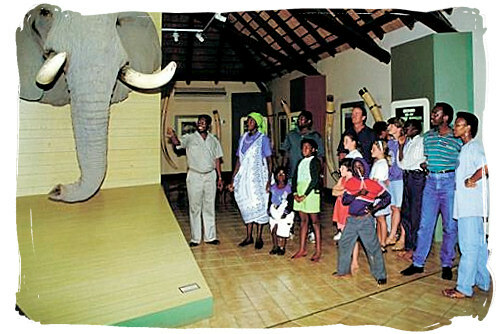 Go to SANParks.org to view a monthly calendar with accommodation availability details of Letaba main rest camp. You will then be able to view the accommodation availability page of the South African National Parks organization (SANparks), for Kruger National Park’s Letaba rest camp. The accommodation code enables you to book a specific type of accommodation - if you provide it with your request for booking. The figure between the square brackets [ ] is the number of units at the specific time and date of visit to the accommodation availability page. Please Note that the information is updated and therefore changing real-time on a continuous basis and that requests for reservations are processed on first-come-first- serve basis. Go to SANParks.org to book your reservation for the Letaba main rest camp in the Kruger National Park on the official reservations page of the South African National Parks organization's (SANparks) website. Go to SANParks.org to view the tariffs applicable for the Letaba main rest camp on the official tariff page of the South African National Parks (SANparks) website.